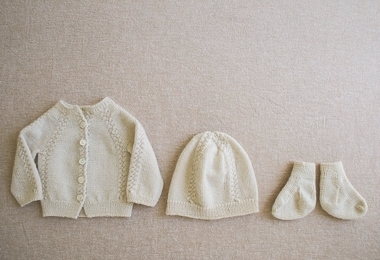 An heirloom in-the-making, our cardigan-hat-and-booties set is knit up in Purl Soho's lovely Line Weight merino and features classic Aran cables and beautiful, little details. Whether you give the Kit to a crafty, expectant parent or you knit up the set yourself, our Knit Layette Kit is in every way incredibly special! 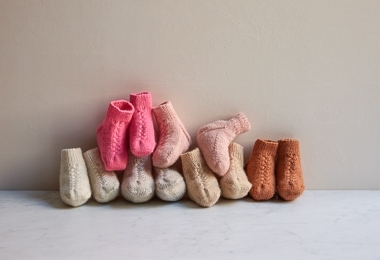 It includes a full-color Pattern, sized from newborn to six months. For more information, including a complete list of the Kit's contents, please click Product Details, above.